The practical arrangement of the metal tongues makes it easy for beginners in particular to achieve quick learning success on the drum; after just a few hours, a positive playing feeling is achieved and one can immediately inspire one's listeners. Especially in music and sound therapy and hypnosis. 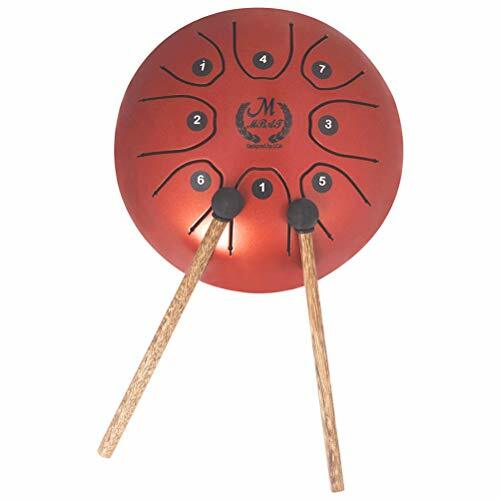 This drum can be an effective aid to relax patients and create a meditative environment. - Precision crafted to deliver beautiful and expressive melodies. - Playing the drum will help you in creating a very peaceful and serene environment. - You can play the drum either with the included the mallets or with your hands. Precision crafted to deliver beautiful and expressive melodies. Playing the drum will help you in creating a very peaceful and serene environment. You can play the drum either with the included the mallets or with your hands. If you have any questions about this product by SUPVOX, contact us by completing and submitting the form below. If you are looking for a specif part number, please include it with your message.